The Oriental Cocktail is an old classic cocktail originally published in The Savoy Cocktail Book. While it contains no ingredients that hail from the Far East (or the Orient as it was commonly called back in the day), it was probably quite exotic at the time. The story goes that The Oriental Cocktail was created by an American engineer stationed in the ​Philippines in 1924. This gentleman nearly died of a fever and gave this recipe to the doctor who saved his life as a token of his appreciation. This cocktail is easy to prepare, quick, and surprisingly tasty. Featuring the spiciness of rye whiskey cut with Cointreau, sweet vermouth, and lime juice, the Oriental is a surprisingly sophisticated tipple. Try this one the next time you are in the mood for something a little different. Add all ingredients in a mixing glass or cocktail shaker. The Oriental Cocktail brings together two great styles from the classic cocktail scene: the Manhattan and the Whiskey Sour. The blending of sweet, sour, and spice is something to behold and relish and it can only be found to this point of perfection in a handful of cocktails. The choice of rye whiskey should be well thought out. The recommendation of Rittenhouse Rye is a perfect example of the caliber of whiskey that shines in this drink. It is robust, has a ton of flavor marked by those signature rye spices, and at less than $20 a bottle, is surprisingly cheap. The sweet vermouth and Cointreau do their individual parts to bringing in the sweeter aspects that make the Oriental Cocktail so great. It is important that both meet the quality standards appropriate to a clean, fresh drink. If you were looking for an orange liqueur substitute, it would be best to go with one of equal value and quality (no cheap triple sec here, please). Look for Combier, or give Solerno Blood Orange or Patron Citronge a try. Fresh lime juice is key to finding that balance of sweet and sour in the Oriental Cocktail. The original recipe from Harry Craddock's 1930 edition of The Savoy Cocktail Book called for 'juice from half a lime." That can be misleading because every lime is going to yield a different amount of juice. As this obscure cocktail reclaimed its space in our modern drinking sphere, bartenders have come to agree that 1/2 ounce of lime juice is the perfect fit. How Strong Is the Oriental? Rittenhouse Rye is a 100 proof whiskey and Cointreau may be a liqueur, but it still packs a punch at a hefty 80 proof. 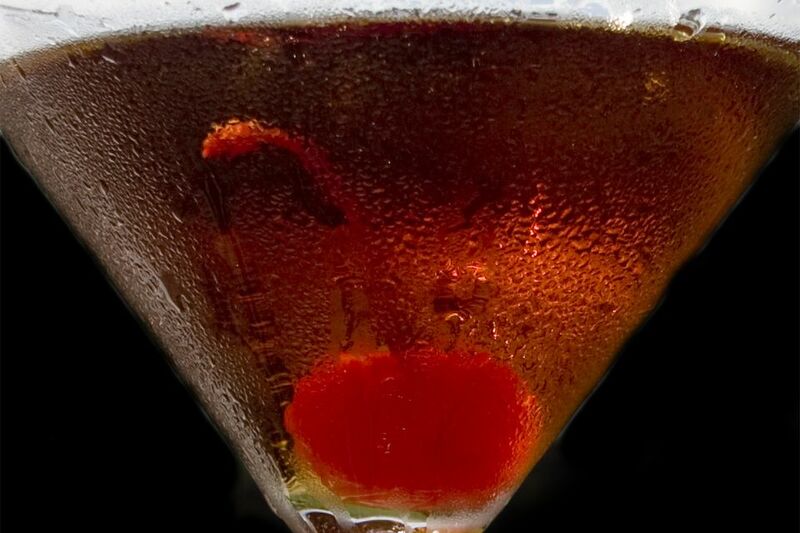 If we were to use a 30 proof vermouth for the Oriental Cocktail, then the finished drink would be no weakling and would have an alcohol content of about 29 percent ABV (58 proof).